For most people, the web looks and feels like things are all peachy — vibrant, alive, new, fresh. However for those of us in the know, below this facade exists a consistent cycle of death and rebirth. While many technologies and practices have left this world and passed on to the next (R.I.P Netscape), some have been more resilient. Supposedly dead elements of the web are rising from the grave, continuing to haunt us. This article will explore the state of the web zombie invasion! I’m an avid horror film fan. I love television shows like Buffy the Vampire Slayer and movies like 28 Days Later. The idea of “beings” which shouldn’t exist (like vampires, ghosts, mummies, and zombies) highlights the similar thoughts and feelings I receive when viewing the source code of some pretty awful websites from back in the early days. For the novice coder who hasn’t explored the history of our craft, these undead beings may blend into the landscape rather well. But unbeknownst to them is the debris of the “abandoned web” — and the perpetuation of this cycle. IE6 is considered dead to such an extent that an unofficial funeral was given in its honour! When I talk about zombies on the web, I’m not referring to the stereotype of the old-school “web surfer” who naively wanders around the internet, clicking on every get rich in 24 hours link to get malware infections — no, not those guys. On the web, my zombies refer to the browsers, technologies, code and design practices that are officially dead, but continue to live. Let’s talk about the walking dead, starting with web browsers. Of the many different types of web zombies that exist, the noticeable case of outdated versions of web browsers hold the potential for being most dangerous. Ironically, these are the types of creatures that we hold the least amount of control over. We all know the agony of giving post-mortem support for Internet Explorer 6 (which passed its use-by-date eons ago when Microsoft issued its replacement, IE7). 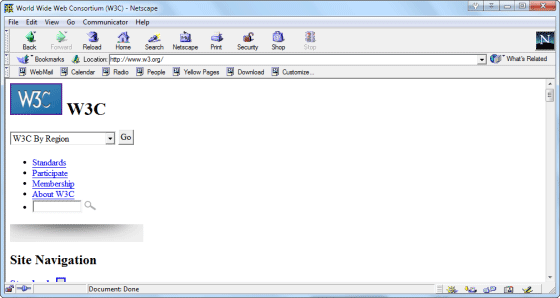 And we fondly remember the Netscape browser that IE killed. However, the scariest thing is that, even today, there are people who can’t or won’t let go of their undead browsers by taking five minutes to upgrade. The invasion of zombie browsers is still an ongoing battle. Because we can’t control the zombie browsers, the issue of those infected (staggering around using these dead shells) often becomes a matter of containment (patching our work) or in Zombieland style, killing their life support. It’s a scary thought how many dead browsers exist out there on our clients’ machines. In regards to the ethics of zombie support, some of us take the Shaun of the Dead approach. Because some people still have an attachment to their “undeceased” browsers (e.g. IE6), rather than shooting them up with “Upgrade your browser now!” messages or forcing them into a wasteland of zero tolerance, we keep them alive through hacks and special stylesheets — the developer equivalent of how Shaun from the movie kept his best friend, zombie Ed, alive in his shed. Rather comical perhaps — but in many ways, some of us go out of our way to give leniency towards zombie browsers. Whereas we can easily spot the zombie browser — they stagger around the web confused at what CSS3, HTML5, and other modern standards mean — one of the more frustrating types of zombies are web technologies and standards that have already died, but developers still cling onto. One perfect example of a zombie technology is Wireless Markup Language (WML). Due to the evolution of the smartphone market, modern mobile devices can now render regular HTML. The peak days of WML may be over, but the BBC still shows this web zombie some love! While WML itself is deprecated (W3C’s way of pronouncing something dead) — and let’s face it, it wasn’t exactly the real web in the first place — there are still some with old mobile phones wanting to access the web even through a subpar viewing experience. To this day, there are still developers who insist on providing or maintaining WML versions of their website to cater to this zombie technology, and while their care for users with old cell phones is admirable, their contribution to the proliferation of a zombie web standard is not. 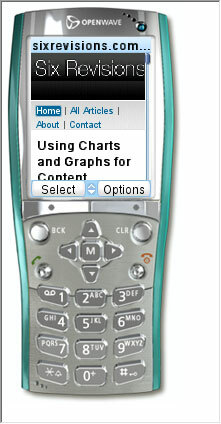 Testing your website using a variety of older handsets shows how bad things are getting. Old technologies being replaced by new ones is nothing new to the nature of the web. And I suppose that like web browsers, there will become an epidemic point where the number of undead languages goes far beyond the number of living ones, which may be problematic for beginners deciding what they need to learn. The case of undead technologies isn’t so much of an issue of support — as we modern web developers tend to comply with current web standards — but that of excess baggage that the web’s future is going to have to deal with. This zombie is something which most of us want to see dealt with in the harshest possible manner because it’s something that we have control and choice over. While undead languages maintain some level of support for the sake of older browsers or devices, using deprecated HTML tags (e.g. <font>, <marquee>, <blink>) and non-standard/proprietary CSS (e.g. -ms-overflow-y) to solve today’s design tasks becomes proof of poor quality craftsmanship and thought by certain developers. Revenge of the fallen markup — deprecated code still exists in modern web designs. While we may consider zombie code as just an annoyance, let’s be clear and state they’re not completely benign. The most worrying thing about zombie code is the danger of future browsers stopping the support of these deprecated and non-standard coding practices. What happens to these sites? They will still be floating around in cyberspace, waiting to be visited by a potential client, who’ll later come to us asking for their site’s logo to blink and scroll. From past experience, I know of developers even today who still maintain and produce websites (professionally, I might add) using the kind of source code we would have expected to see in the early 90s — and it shocks me just as if I saw a real zombie straight out of 28 Days Later. Separating structure from style is the modern convention, yet zombie code still works in modern browsers. In much the same way as that of dead browsers or dead technologies, education will ultimately be the way to combat this epidemic of outdated code — code that “works” but does so using undead coding habits. The number of casualties of the original browser wars has served us a lesson of what happens when militant code becomes so disproportionate that web professionals are forced to deal with each browser individually (with the mobile device war, it could happen again). Finally, we have something that is near and dear to my heart — the sympathetic case of what could easily qualify as design zombies. While it could be seen that many of these practices have evolved into new strains, the issue of outdated design is as apparent today as ever. Sites as bad of this can still be found on the web, and in many cases they’re still maintained! Design is one subject that — with the web’s evolution — has managed to maintain a level of historical value with itself. If you’ve ever visited a newly launched website and thought, “Wow, this website looks retro in a bad way” — that’s a sign that you’re on a site designed using undead practices. While zombie designs seem insignificant — as the code can itself be very well crafted using best practices and standards — they do nourish a sentiment of a lack of regard towards usability, accessibility, user experience and modern aesthetic appeal, making the design zombie an interesting foe. Another well-intentioned website, with the aesthetic design value of a zombie. In Buffy the Vampire Slayer, when asked to spot a vampire, Buffy looked for people in the club wearing seriously outdated clothes. While this is funny — it’s also true that having something so old looking that we could probably carbon date it will ultimately affect our users’ experience. Education (surprise, surprise) seems to be the best way forward in eliminating undead designs. With future standards like HTML5 and CSS3 emerging, brand new zombies from the array of existing standards will continue to rise. Maintaining a skill set and knowledge base that is up to date — and staying ahead of the curve — is the best way to avoid the reoccurrence of zombie practices and habits. And while some of the web’s afterlife will continue to exist without causing too much harm, there comes a time where such undead beings can ultimately lead us into a spiral of escalating annoyance and rot. Details about standards aren’t that hard to come by when you know where to look. It’s worth pointing out that the web has an interestingly rich history full of technologies which, though ousted by something newer, may still hold a place in our world. While in a perfect world, the transcendence from one to the next should be the ideal solution, newborn standards (like XHTML 2.0) can die before their time. As such, don’t think of zombies simply as the old stuff — they can be new stuff that didn’t quite fully form yet but may have been early-adopted by some. Perceptions can lead to accidental shootings and you don’t want to give the death sentence to a practice that has legitimate value. XHTML 2.0 unfortunately didn’t make it to fruition and thus became a newborn zombie. Old standards die and new standards appear in their place — that’s just the way of the web. The circle of life is well intentioned, it moves us forward to bigger and brighter things. The solution isn’t to stop innovation — that’s just crazy — but culling the ever-increasing zombie population that still exists. As an industry, it’s our duty to use what skill, knowledge and network we have to push back the zombie invasion. And while I’m not saying you should go after IE6 users with holy water and a crucifix, you could take a more civil approach through education and conversations. If you know someone with web zombies, why not spend a few minutes explaining the problem and helping them make an informed choice? Every outdated element on the web we can eliminate is worth fighting against. Especially if we don’t want the web to be a haunted graveyard.